It's frigid out, but that didn't stop Shubenacadie Sam from stepping outside of his cosy hut to make his annual prediction. Nova Scotia's whiskered weather prognosticator ventured out into his snow-covered pen early Saturday morning and immediately turned and hightailed it back into the warmth of his hut. It wasn't a good sign. "I've seen this before and it snowed until June," yelled the town crier, who was on hand for Shubenacadie Sam's annual Groundhog Day event at the Shubenacadie Wildlife Park. With his fur coat helping him brave the – 16 C weather, he eventually waddled out and someone closed the door so he couldn't retreat again. Despite a crowd of fans gathered around to learn his prediction, Sam kept to the foliage in his pen and eventually hid in a hollow log, out of the limelight. That's when the town crier stepped in to finish the job. "I don't want to say this at all," Anita Benedict told the crowd. "He may not see his shadow in that corner, but I would say his prediction is official. If he came over here, he would see his shadow. And back to his burrow he wants to go. "You know what that means? The coming of spring will surely be slow." According to folklore, if a groundhog sees its shadow, winter will continue for another month and a half. But if doesn't, spring will come early. 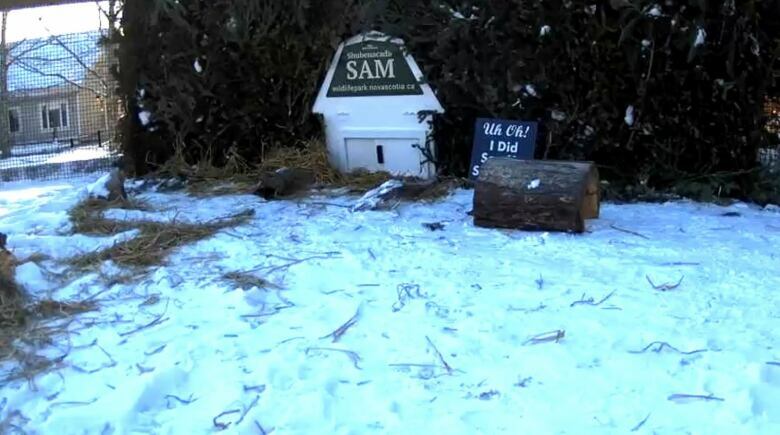 Sam's prediction contradicted those of two other celebrity groundhogs. 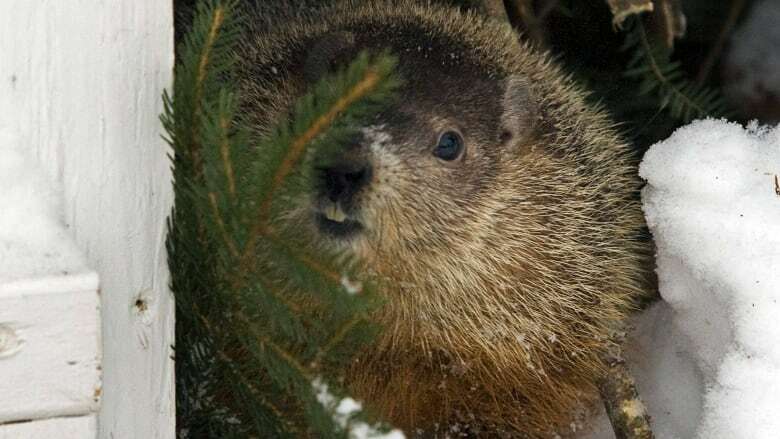 Ontario's Wiarton Willie and Pennsylvania's Punxsutawney Phil both predicted an early end to winter. However, if you're inclined to plan your local ski trips or beach time according to the whims of a woodchuck, you may be disappointed. According to a Canadian study looking at the past 30 years, groundhogs only accurately predicted the long-term forecast about 37 per cent of the time. And, of course, anyone who knows anything about the weather in Nova Scotia knows that despite Sam's prediction, snow, ice and slush usually continue well into April.